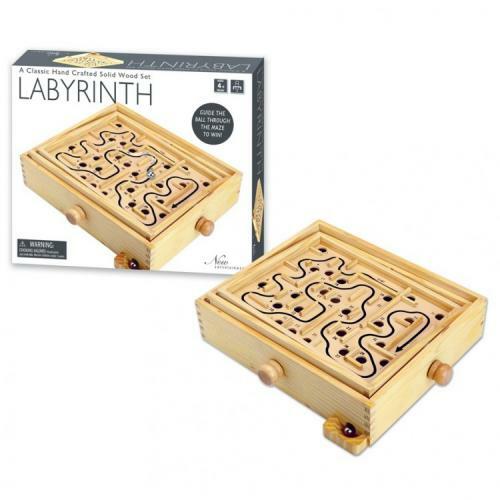 Fill in your details below and we will let you know within 24 hours if we can get Wooden Labyrinth to you with haste! This ancient game of strategy and skill was first discovered at excavations in Mesopotamia. Played by kings of civilizations past, it can now be part of your kingdom…but are you able to master it? Carefully guide the steel ball through the maze to win. This hand crafted classic game is a beautiful, heirloom-quality addition to your game library.